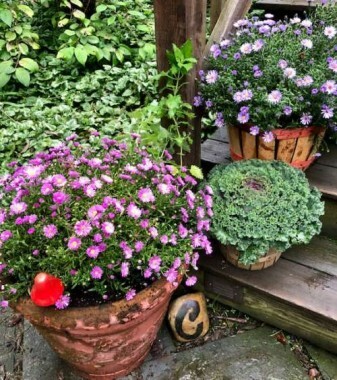 I’ve been cleaning out the garden and flower beds, and adding color outside with mums, asters, decorative kale and pumpkins. Fall is my favorite time of year, and I especially love Halloween! 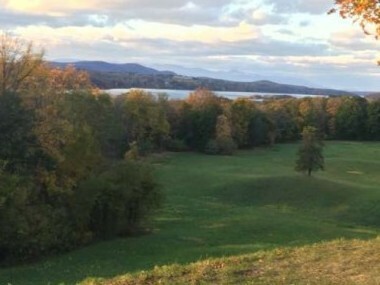 New England is just so pretty and cozy this time of year; it’s at its best. It’s places like this that make our winters worth dealing with! My daughter is a junior in high school now. I don’t have a little one anymore, but I still (and always will) like to decorate the house for Halloween. My Halloween decor is a nod to the old, vintage Halloween of generations past. Jolly, spooky, but never full of gore. Most of my Halloween decor is found in my kitchen and in the family room, where we spend most of our time together. 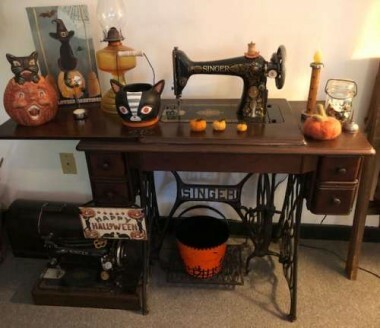 I think vintage treadle sewing machines look a bit “steampunk” cool, and I like to deck the “Red Eye” out for the seasons, starting with a few fun Halloween touches. My favorite Halloween is vintage inspired. I made the needle felted pumpkins. I love the paper mache decorations from the 20s – 40s, but they are usually out of my price range. 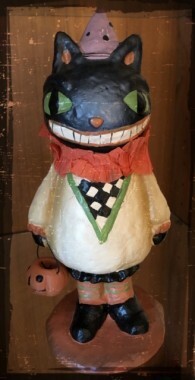 This inspired cat in a pumpkin has the same vintage charm. From HomeGoods, marked 2001, it’s actually terra cotta. The little candle/mobile is Scandinavian. Delicate and small, when the candle is lit, the top spins. I usually don’t like resin, but this cat in a ruff looked ol’fashioned and caught my eye. 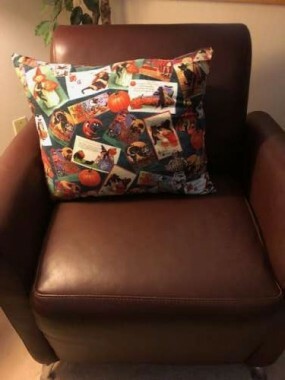 A few years back, I found Ellen Clapsaddle themed fabric, which I sewed into throw pillows. I used the rest of the fabric to sew up a cute Halloween apron to hang in the kitchen, using some vintage flour sack fabric for the ties and pocket. No holiday is complete without light up vintage plastic! My best friend gave me this 60’s blow mold one year. 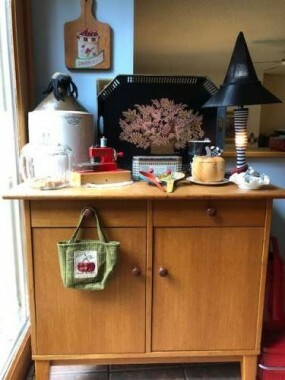 My kitchen sideboard takes on a different look each season. 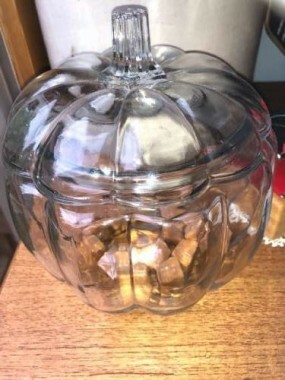 The first thing that comes out in fall is my Anchor Hocking glass pumpkin. 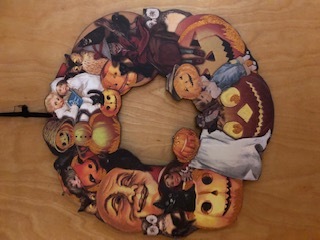 My mom had one on her sideboard when I was growing up in the seventies; when she pulled it out in October, I knew Halloween wasn’t far away! A classic, I’ve had mine for over twenty years. I love that you can still find them on store shelves, like at Target. 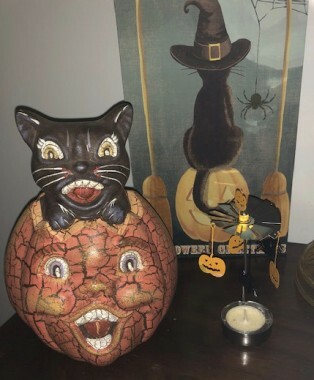 My aunt also shared a love of antiques, vintage and Halloween. We always sent each other Halloween cards. She sent me the “Wizard of Oz” leg lamp and coffee cup several years ago. Sadly, she passed away this past December, but I will always think of her and giggle when the lamp comes out each year. Halloween in the kitchen. The 1940s clackers come out at Halloween and again at New Year’s. 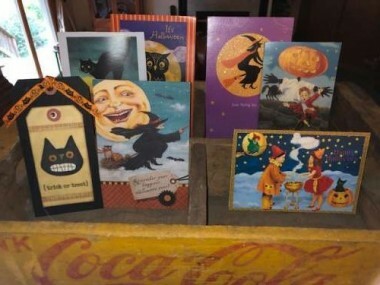 Favorite cards of Halloweens past from my aunt, mom, bff and Farmgirl friends are displayed in an antique soda crate. Dessert plates from 2005 look more like vintage. Each has a different design. Antique milk glass looks good in any season. I love how against fall colors it takes on a GHOSTLY look. 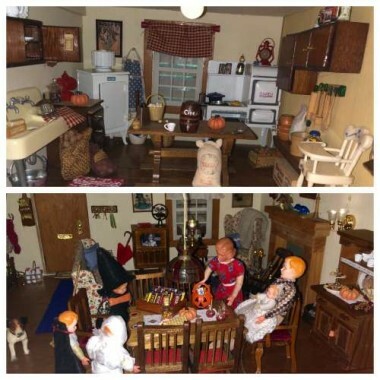 The dollhouse got a quick fall makeover, too. I made costumes from tissue and felt using scraps I had on hand, all in the time it took to drink a cup of coffee. I wanted to convey the sweetness of vintage Halloweens past. Recently, my daughter and I had a rainy day together on the sofa while she had a bad cold, so we made some cocoa and watched a few horror movies. We both decided that modern Halloween has taken such an in-your-face-gory turn, and that the spookiest flicks are the classic, original ones…”The Fly”, even the original “Halloween” movie with a young (now still so cool and beautiful) Jamie Lee Curtis…more psychological spooky than all-out bloody. I think we are lucky to live in a small town. While it has grown so much, especially in recent years, we still have a great Halloween tradition: Main Street. 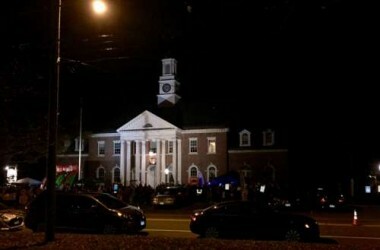 Every year, our town shows a classic Halloween movie at our historic Edmond town hall. This year, it’s a double feature: “The Bride of Frankenstein” from 1935 and “The Beast with Five Fingers” from 1946. By Halloween night, all the houses and businesses on Main Street are decked out in all their Halloween finery, and hundreds of trick or treaters take to the sidewalks. The great thing about it is you see all ages – from little ones in their first costumes to teenagers from the local high school (and no one seems to mind). Not all teenagers are wild and partying…many of them are big kids at heart! Even for adults, taking a stroll on Main Street at Halloween is a treat – seeing all the decorations and the kids in costume. The tradition has gotten so large, that the police block off the street, and to help defray the enormous cost, there are drop boxes all around for folks to donate bags of candy. We have a Halloween tradition at our house, too. I hostess an “Open House” for our friends. After trick or treating, after everyone is off of work, friends come over every year for a big pot of my “famous” Pumpkin Chili. It’s a delicious, cool-weather treat! Brown ground beef, onion, garlic, and sweet pepper in a large cast iron skillet or Dutch oven. Add remaining ingredients. Stir well and simmer on low, for at least one hour before serving. Can also be put in a crockpot on low heat for six hours. The trick with this chili is to let it simmer before serving , so that the pumpkin cooks down and the flavors meld. Serve with a dollop of sour cream or Greek yogurt, and grated cheddar cheese. 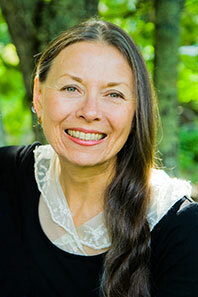 Don’t be ghostly and just read…leave me a comment so I know you stopped by! ← Dahlia Days Are Here Again! What a marvelous collection you’ve got. Thanks for sharing. I love Moscow. My grandson plays football for the team. He loves Moscow. Balboa Island Ca decorates like Moscow for all the holidays. Never seen another town that does until Moscow. Loved the old vintage Halloween decorations! 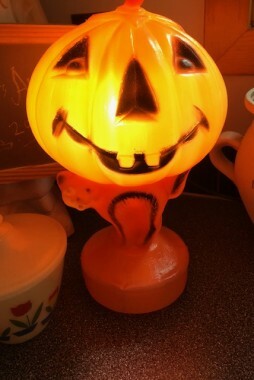 So cute…I loved the witch’s leg lamp that your aunt gave you…Your blog put me in the mood for Halloween. 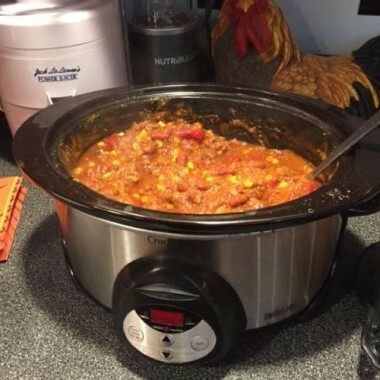 The chili recipe with pumpkin looks tasty…. 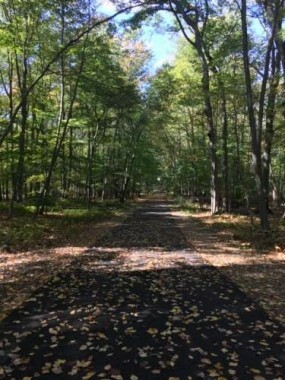 I agree fall in New England is the best time of year. Here in Concord, NH we have several similar traditions. Not having kids though, we put a costume on our dog and head to my sister-in-law’s house to join our niece and nephews and friends for trick or treating. 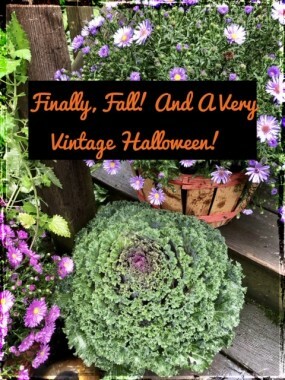 I do love to see your vintage spin on things – Halloween included. I’ll think about trying your pumpkin chili this year – looks yummy and easy to make veggie. I love your decorations, Nicole! And I agree, it’s the best time of year! I love everything about fall. The cool crisp air, fresh apples, mulled apple cider, Halloween, pumpkins… Thanks for sharing your recipe – I’m going to give it a try with a meat alternative! Nicole, your recipe is very similar to my invention, I thought I was so original! Fall is our favorite time of year as well. We were married in October, met in October, twin daughters born in October! Fall in Minnesota is very beautiful, colors are vivid and the lakes so lovely against backdrop of colors. Halloween is disappearing here which makes me so sad. Private parties have taken over and organizations are having “harvest” parties. I look so forward to reading your posts. I am a Texas girl with a New England heart. It’s our favorite vacation destination, always in the fall. Our last trip was 4 years ago. It’s been way too long! So fun! 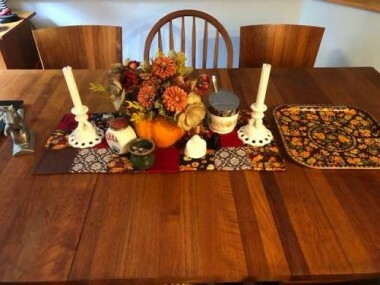 Love all your decor and fall enthusiasm! Thanks for sharing, my friend. 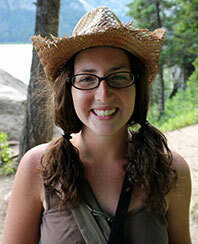 As usual Nicole I love this months blog, the pictures are wonderful I wish I had a thimbleful of your ambition. The house is all decked out. Hi Nicole! Happy Fall and Halloween! Your post got me in the mood to get out my fall decorations and start decorating! I love your vintage Halloween decor, too. You’re such a clever collector and decorator. You’re also right about fall here in New England. It’s our reward for staying through winter! Your Pumpkin Chili sounds yummy, too. I’ve never heard of it. Must give it a try. Happy fall to you! loved all you had to say. The photos were delightful! Yes, we all are preparing our outside gardens to for the cold winter in New England. I also thank you for your family chili recipe. Sounds wonderful. Comfort fall recipes are always welcomed in my home. I enjoy new recipes. 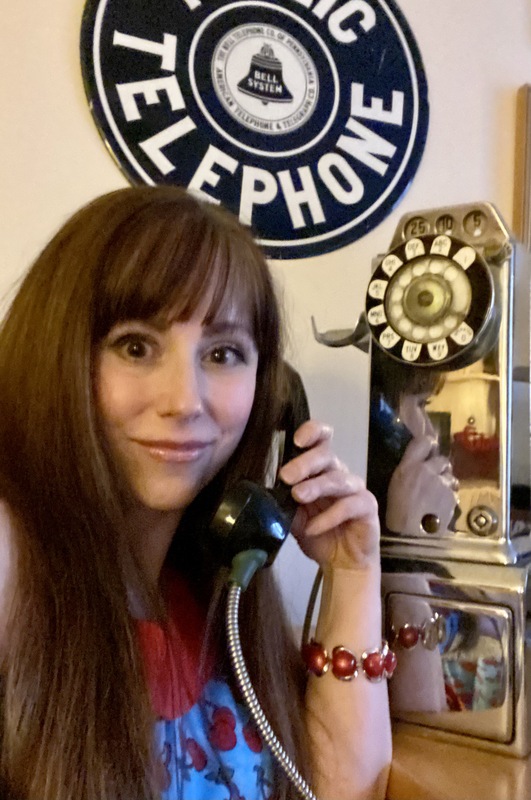 I love your vintage collection. 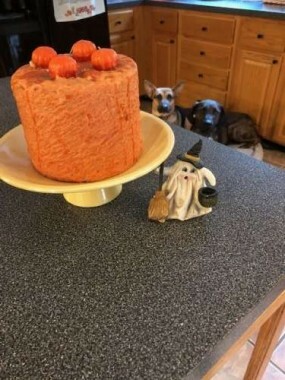 One of my sons has a Halloween birthday so after the grandkids go trick or treating we usually have pizza and ice-cream cake, or a special cake his wife makes. I think this year we will try your chili recipe. It sounds delicious! I love fall! 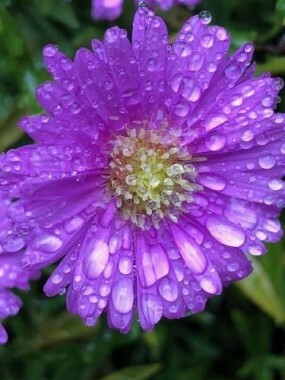 it is my favorite season. Your decorations are so much fun! I too love to decorate the house for Halloween. Which I am doing right now! Have fun! You did such a nice job decorating. Your collection is great. We have the pumpkin and cat light. It is on our desk. We have a few other vintage decorations. 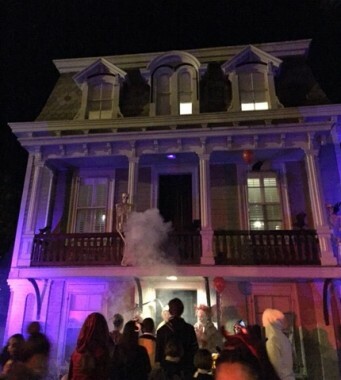 That house is so festive and looks so scary.. It sounds so nice how your neighbor celebrates Halloween. Thank You for sharing. I do enjoy reading your posts! Think I might try the chili recipe! I love Halloween. Hope to do as you have done and decorate for it this year in my new home, which I haven’t been able to move into as yet but hopefully before Halloween. It is getting closer. I love what you have used. 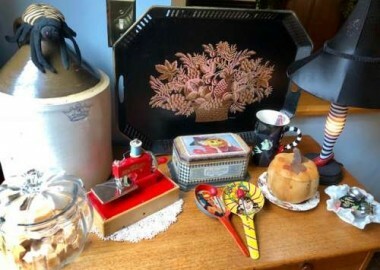 I also have a vintage sewing machine and I will copy your idea and use it also in my decorations. It is still hot in my area, but by Halloween it will cool off I am sure. So much to do and so little time. Old time movies are the best especially for Halloween. They also were more humorous than today’s picks. I watch a lot of older movies on TCM and I bet they will be airing some Halloween favorites soon if not already. 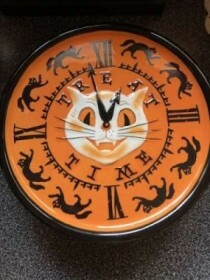 Have a Happy Halloweenish time. 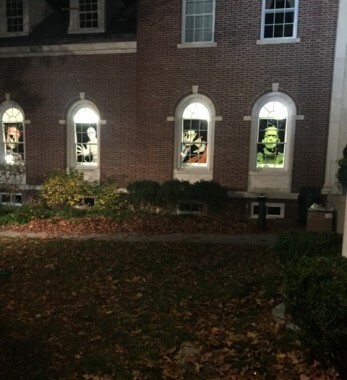 you have some cool Halloween decorations! 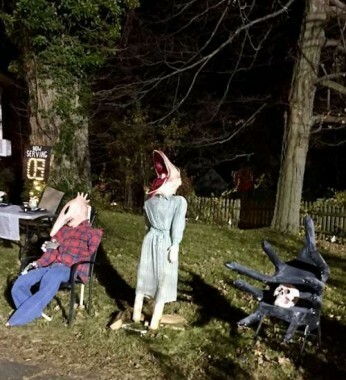 Love your Halloween decorating, looks fabulous. The history and memories behind the different pieces is beautiful. Love how small town America really gets into decorating and celebrating the different holidays and festivals. It’s really sweet. I’m going to try your pumpkin chilli, looks yummy. Here we are in spring, and more Australians are embracing the fun of Halloween. Tho I haven’t got into the full decorating of my house, maybe I will once I have my own home, I do love having trick or treaters come to my door and reward their efforts of dressing up with treats, I love how inventive they can be. 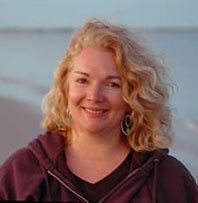 Hi Denise! thank you! 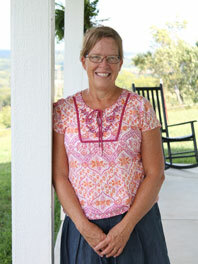 I remember when I was first married to my husband, and my mother-in-law visited from Denmark. 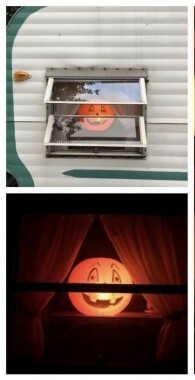 She had never really experienced Halloween, and loved the jack-o-lanterns I had carved. 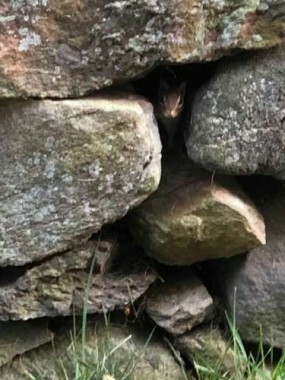 She had never seen them. So, the following year, she carved one and put it out. She jokes that she “brought” Halloween to Denmark, because more and more people there celebrate it now. In America, there is a movement trying to make Halloween and trick or treaters the last Saturday of October. It is traditionally on October 31st, and I think it should stay that way.